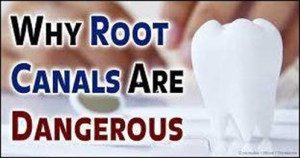 Root-canaled teeth are essentially toxic teeth that are known to silently incubate very toxic anaerobic bacteria. These unwanted bacteria can make their way into our bloodstream and may cause a number of serious health conditions. Did you know that within our teeth there are countless little tubes known as tubules that our dentists are unable to irrigate and disinfect at the time of our root canal? When the root canal filler known as Gutta Percha shrinks, like putty in a window sill, toxic anaerobic microbes hidden within the tubules can travel from the root of the affected tooth into our blood stream. This can be very dangerous for our health. Did you also know that root canals may be time bombs, because of this resultant bacterial/microbial invasion? If dentists used therapeutic essential oils to disinfect root-canaled teeth in place of antibiotics, a root canal may be less likely to create harm. Disease causing microbes do not build resistance to therapeutic grade essential oils as they do to antibiotics. I myself have had several root canals. With the use of specific dental, and sinus protocols using therapeutic grade essential oils, I live with existing root canals and remain healthy. If you have root canals and would like to learn my holistic dental protocols for oral health support, I am available to coach you today. Call me at the office to learn more. Always consult with your health professional before beginning a new healthy lifestyle protocol. The information presented is not intended to treat, diagnose or prescribe. It is for educational purposes only.